Christmas Day has always served as a traditional showcase for the best players – and teams – of the National Basketball Association (NBA). Due to a labor dispute between the players' union and owners that was not resolved until last month, the NBA will open its 2011-12 schedule on Dec. 25, including the defending champion Dallas Mavericks hosting the Miami Heat and four other marquee match-ups. NBA games on Christmas Day often find the league's best players dominating the games held on a national stage. We've selected the following players' games as the 10 Best Christmas Day Performances in NBA History. No stranger to big stages, Kobe Bryant scored 42 points on Christmas Day 2004, but his Los Angeles Lakers lost to the Miami Heat, who had Dwayne Wade and Shaquille O'Neal. Playing in a smaller market hasn't made Kevin Durant a smaller talent. Durant scored 44 points and grabbed seven rebounds, and the Oklahoma City Thunder beat the Denver Nuggets 114-106. Click below to watch video highlights. Dwyane Wade scored 40 points, dished 11 assists and went 15 of 16 from the free throw line to lead the Miami Heat to a 101-85 win. 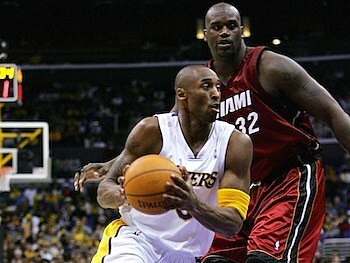 Also notable was the low-scoring night from the Lakers' Kobe Bryant, who had just 16 points. Click below to watch video highlights. Nicknamed “The Human Highlight Film,” Dominique Wilkins could dominate games with his above-the-rim play. 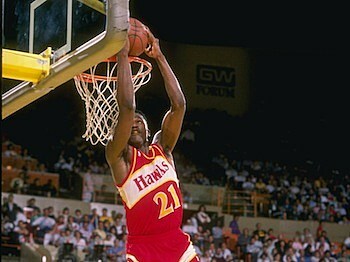 He did so on Christmas Day 1987 as his Atlanta Hawks beta the Charles Barkley-led Philadelphia 76ers 106-100. Wilkins had 45 points , nine rebounds and three assists. Rick Barry is not as well-known a basketball star as many of the others on this list, but the San Francisco Warriors scoring machine went for 50 points on the Cincinnati Royals on Dec. 25, 1966. Click below to watch video highlights of Barry's career. Boston Celtics' great Bill Russell dominated the Baltimore Bullets on Christmas Day 1965 with 34 rebounds in Boston's 113-99 victory. Click below to watch video highlights of that era's Celtics' team. 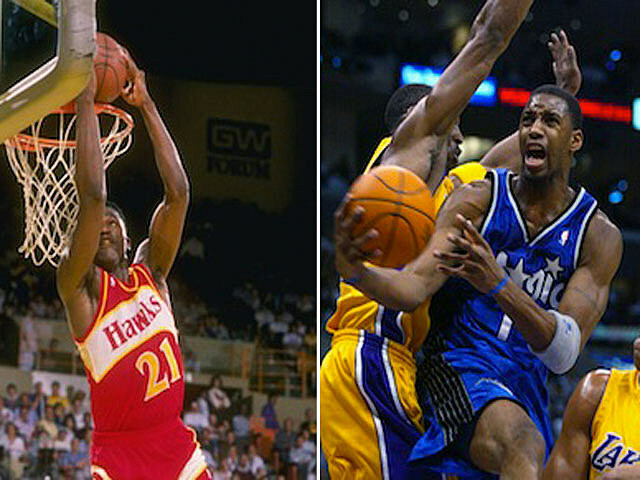 As his career winds to an end, few modern NBA players will be as non-celebrated as Tracy McGrady, who loved to play on Christmas. 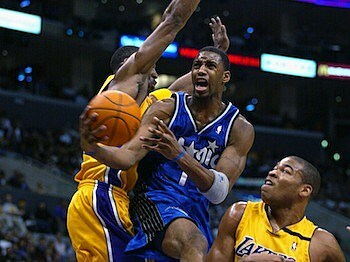 McGrady scored 46 points as the Orlando Magic beat the Detroit Pistons 104-99 in 2002. For good measure, he poured in 41 points and had 11 assists against LeBron James and the Cleveland Cavaliers in 2003. NBA Hall of Famer Michael Jordan loved the bright lights of a big game. Jordan scored 42 points on Christmas Day in 1992, and his Chicago Bulls beat the New York Knicks 89-77. Click below to watch video highlights. Bernard King could score on any day and against any team. King scored 61points in 1984 – still a Christmas Day-record – but his New York Knicks lost to the New Jersey Nets 120-114. Click below to watch video highlights. It's hard to argue that any player was as dominant in their own era as Wilt Chamberlain. On Christmas Day 1961, Chamberlain scored 59 points and pulled down 36 rebounds, but his Philadelphia Warriors lost to the New York Knicks 136-135. Later that season, Chamberlain became the only NBA player ever to score 100 points in a game, which he did against the Knicks in Hershey, Pa. Click below to watch video highlights from Chamberlain's landmark game.